Formula Max - Helps to maintain overall good health. * Supports a healthy nervous and cardiovascular system. 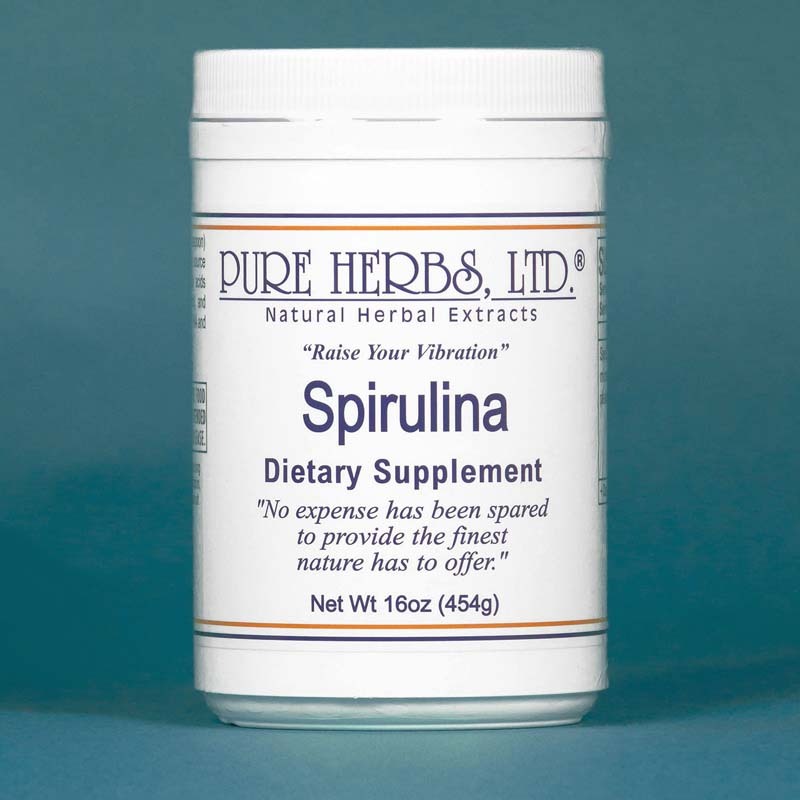 * Supports healthy digestive function. * Helps to enhance energy level. * (Blessed Thistle, Brewer's Yeast, Gentian, Mullein, Saw Palmetto, A.C.S. [Arrowroot, Bladderwrack, Kelp, Irish Moss], B &NC.-W [Alfalfa, Barberry, Black Walnut Hulls, Chamomile, Gotu Kola, Parsley, Scullcap], Formula Three [Bee Pollen, Indian Sarsaparilla, Licorice Root], HT Combination [Hawthorn, Myrrh, Motherwort], Ol' Number 11 [Black Walnut Hulls, Green Ginger, Indian Tobacco, Marshmallow, Mullein, Scullcap, Stone Root, White Oak Bark], Vita-Lixir [Bee Pollen, Carrot Root, Dandelion Leaf, Gentian, Rice Bran, Sunflower Seed, Wheat Germ, Wild Rose Hips]). FORMULA MAX - Is a favorite of athletes in training and seniors for regaining vigor. 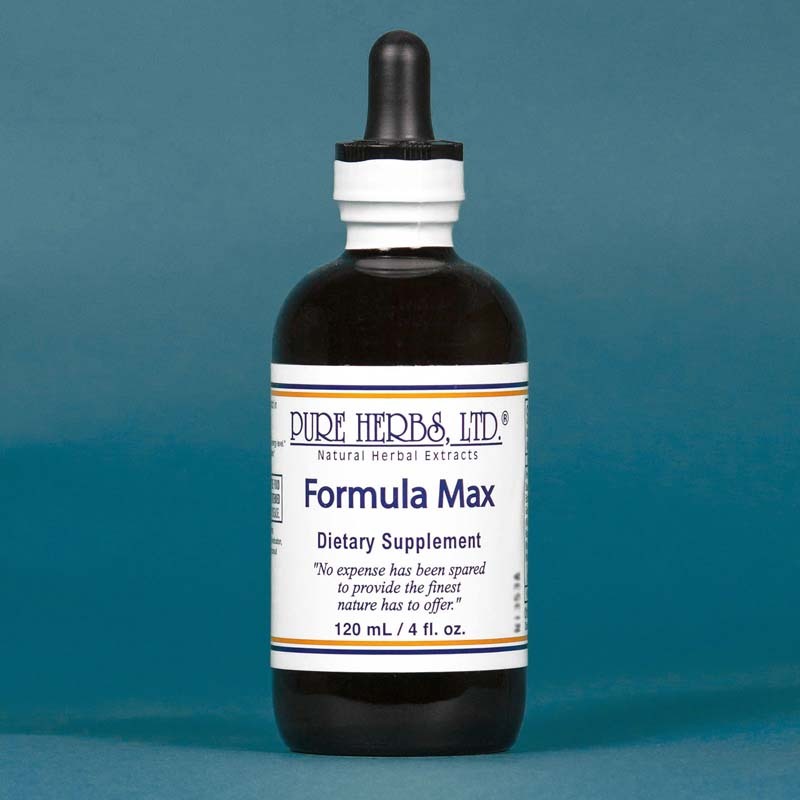 FORMULA MAX is valued as a complete spectrum, all vegetable, chemical free, multi-vitamin and multi-mineral source in a readily absorbable form. The sea vegetable mineral formula, A.C.S. (All Cells "Salts") and the vitamin formula, Vita-Lixir see to this. To this base, additional functions are combined. B-Complex vitamin content is amplified by Brewer's Yeast, with its reliable source of the valued trace element chromium, for vital enzyme and hormone reactions related to sugar digestion, and utilization for the nervous system. Formula III (Licorice Root, Siberian Ginseng & Bee Pollen) gives the adrenal glands, (one on top of each kidney) what they need to overcome the stress of living, as well as increased and sustained activity. Saw Palmetto builds muscular strength and supports normal, healthy reproductive functions. Extra Gentian increases the ability to digest. Mullein and Blessed Thistle increase oxygenation to invigorate the system. Ol' # 11 (Black Walnut Hulls, Green Ginger, Indian Tobacco, Marshmallow, Mullein, Scullcap, Stone Root, White Oak Bar) is a repair formula for bone, flesh, nerves and cartilage. B.& N.C.-W (Brain and Nerve Cocktail) is the formula which nourishes and revives the nervous system. H.T. Combination, (Myrrh, Motherwort and Hawthorn) is a reliable and proven formula of nourishing herbs for heart repair, maintenance, development and improved function. NOTE:If you ever wanted your money's worth in an herbal combination, this is probably a good candidate. As one natural practitioner put it, "....it (Formula Max) has to work, it's got everything in it but a laxative! It'd just be a question of the person taking enough of it, often enough, for long enough". DOSE:For athletes in training, up to 1 Tbl, 3 times per day. For seniors, 1 tsp, 3 times per day.